If you have an interest or hobby that you would like to share with students as an after school academy, please contact Mrs. Jenkins at (916) 683-3073. We would like to provide as many enrichment opportunities as possible for our children and would greatly appreciate parent participation. FIVE STAR FAMILY – Are you a Five Star Family? Make sure that you are getting your qualifying activities punched on your Five Star Family punch card. This can be done at any qualifying event or in the office. 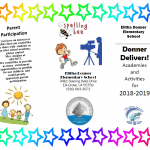 Sign up today to be recognized for all you do to make Donner great! The National Elementary Honor Society is an organization for high-performing 5th and 6th graders which focuses on building leadership and community service. Membership will be decided on the basis of continued academic and citizenship excellence, as well as on the demonstration of service, leadership, and character throughout the previous and present school year. Go Math! combines fresh teaching approaches with everything needed to address the rigors of the Common Core Standards. Using a unique write-in student text at every grade, students represent, solve, and explain – all in one place. 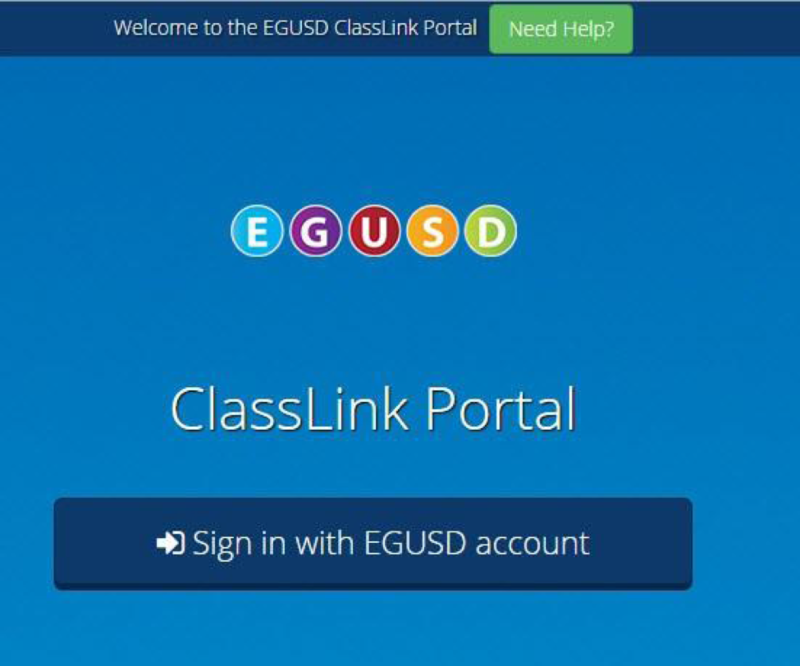 Click here to Log-in to GO Math! The Enrichment learning program is designed for pupils demonstrating a willingness to be challenged to learn at a faster pace, with greater depth in curriculum and above that of his/her grade level standards. Enrichment includes projects such as boards, dioramas, power point presentations, and demonstrations. It also means activities such as Oral Language Fair, Spelling Bee, Student Leadership, and band. It is the intent of the program to have students take an active role in determining WHAT they want to learn and HOW they will learn it! The topic and the form may be determined by grade level curriculum, teacher assignments, and/or student interest. All of our students are given the opportunity to develop technology skills that support learning, personal productivity, decision making, and daily life. Our standards provide a framework for preparing students to be lifelong learners who make informed decisions about the role of technology in their life. 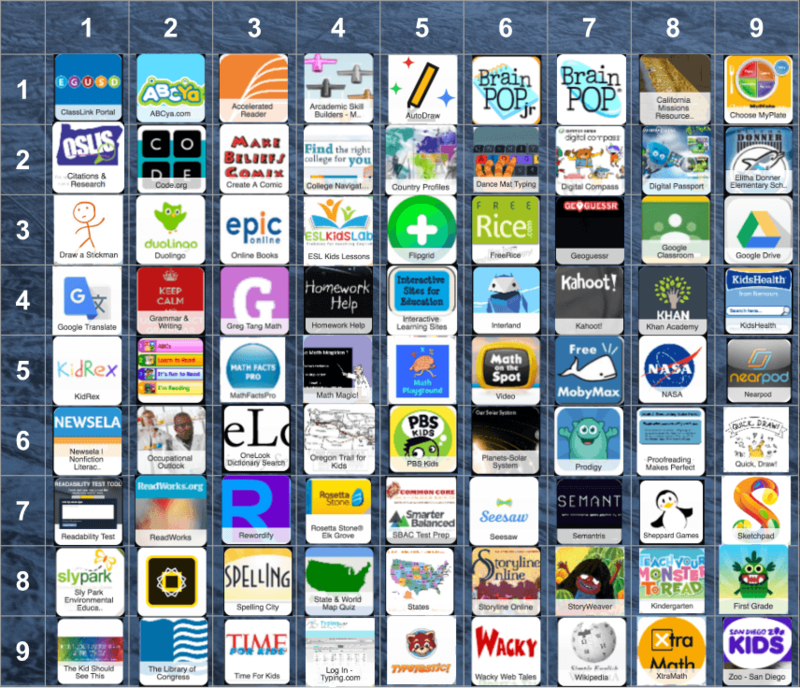 We base our technology curriculum and lessons on the NETS (National Technology Standards for Students) for Students. 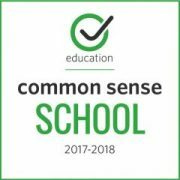 All of our children in grades 1 – 6 will receive computer instruction with a computer resource teacher. There are also other opportunities for students to work with computer and multimedia equipment in their classroom or in the computer lab under the direction of the classroom teacher. The Elk Grove Unified School District has an English Learners Advisory Committee that consists of representatives from schools in the district. A majority of members of the committee are parents of students who are English Learners. The ELAC annually approves the plans for English Learners, both at the district level and at the school site. They also approve the annual census of LEP students and participate in the annual needs assessment. Information regarding student performance, student services, and site level needs for EL students is gathered throughout the year. The priority for all schools is focused on the identified site level needs such as after school assistance with homework, tutoring and additional materials, instructional supplies and books that reflect the culturally related academic needs of students. 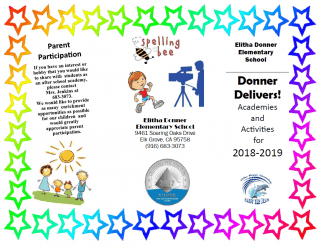 Additionally, the Elitha Donner ELAC Committee has designated as priority to (1) Meet monthly to Increase parent participation, and (2) to provide support to the adult learners through such activities as Parenting and Adult and Community Education classes. We welcome any parents of English Learners to participate in the Elitha Donner Elementary School English Learners Advisory Committee. All students are instructed in physical science, life science, earth science and investigation and experimentation. Students will receive science instruction by their classroom teacher or other grade level instructor. Please look for additional information from your child’s teacher and the school. Ed Code section 512109(g) for Grades 1-6 specify the number of minutes of P.E. provided each ten days: 200 minutes every 10 days. Elitha Donner has adopted the SPARK program. The SPARK (Sports, Play, and Active Recreation for Kids) Programs began studying elementary physical education in 1989, and today, the name SPARK represents a collection of exemplary, research-based physical activity/nutrition programs. The original SPARK study was initially supported by the Heart, Lung and Blood Institute of the National Institutes. SPARK is dedicated to improving the quantity and quality of physical activity for children and teachers everywhere and countering our nation’s growing epidemic of childhood obesity. SPARK hopes to accomplish these goals by disseminating materials and services created during and after our seven-year study to schools and organizations throughout the world. SPARK elementary physical education has been selected as the intervention program in many important research studies and cited in the Surgeon General’s Report as a “school-based solution to our nation’s health care crisis.” SPARK PE was validated by the National Diffusion Network of the U.S. Department of Education in 1993 and earned “ Exemplary Program” status. Physical Education instruction consists of a program providing for student participation in psychomotor activities, gymnastics, individual games and group games. Good sportsmanship and positive attitude are stressed throughout the year. VAPA (Visual and Performing Arts) program is provided for all participating teachers of students in K-6. Students are also engaged in fine arts performances throughout the year with their class taught by their teacher. Our music program, consisting mainly of classroom music, is under the supervision of each classroom teacher. Private band lessons may also be offered after school for students in grades 4, 5, and 6.